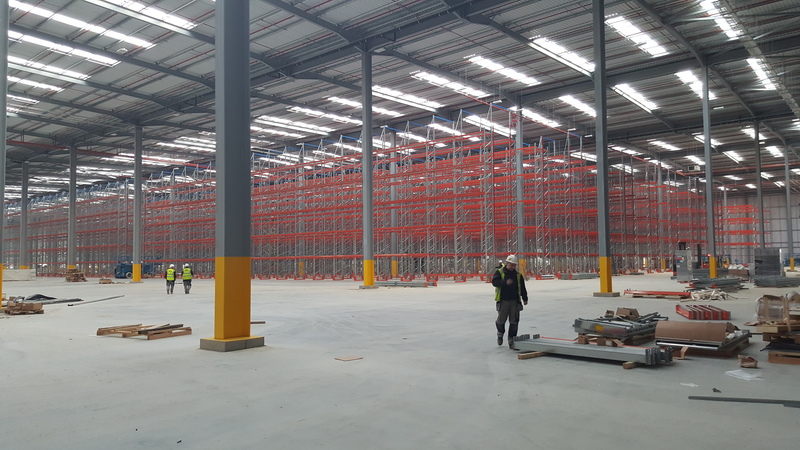 Warehouse Storage Solutions was invited to tender for a complete fit out for Aldi Supermarkets new distribution Warehouse in Bolton, Manchester. The tender process was very rigorous and required a full understanding of all forms of storage systems and Health & Safety. Warehouse Storage Solutions clearly showed their ability. 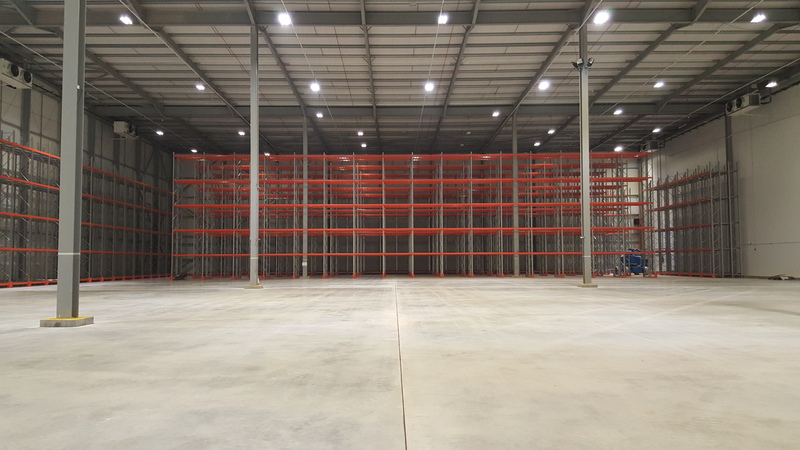 The project involved installing 16,249 pallet locations into the ambient section of the warehouse at 14,000mm high. The ambient side included specially designed column guards, anti-collapse safety mesh, barriers and steel mesh decks. The ambient area also required an aerosol cage that included 162 pallet locations enclosed within a full mesh enclosure with 2 fire doors and 2 roller shutter doors linked into the fire alarm. The other section of the warehouse was the temperature controlled area (TCA). 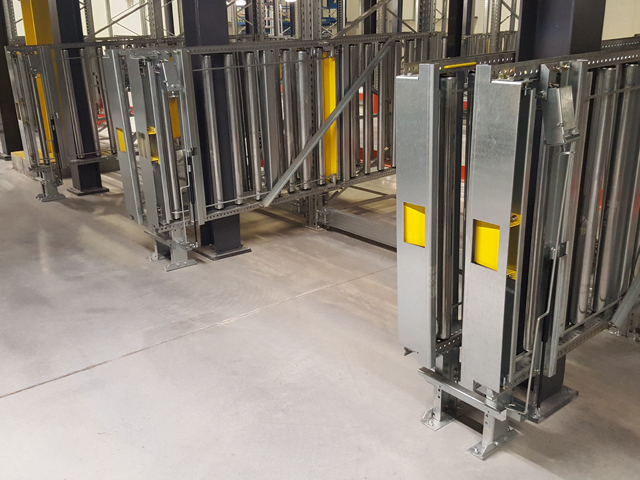 This involved installing 3,096 pallet locations into pallet racking and push back pallet racking which also included column guards, barriers and anti-collapse safety mesh. 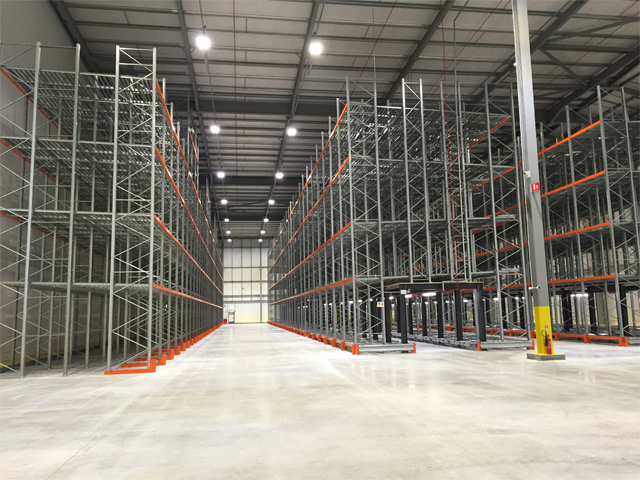 In the freezer section of the TCA we designed and installed racking to house 4,050 pallet locations. This involved 2 picking tunnels which incorporated 1 block of pallet live pallet racking, 6 pallets deep by 4 pallets high mounted onto a mezzanine floor. Below the picking tunnel, we installed 2 deep pallets live onto specially designed tilt beds that allow the roller beds to be lifted for cleaning purposes. The other picking tunnel has 3 deep back to back push back mounted onto the mezzanine floor with the same picking lanes below the picking tunnel. 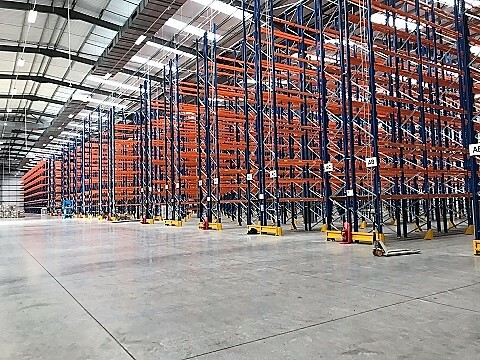 We also installed 4 deep push back pallet racking consisting of 4 pallets high by 4 pallets deep. During the installation process, a variation was issued for Warehouse Storage Solutions to design inspection platforms below the condensers of the freezer. 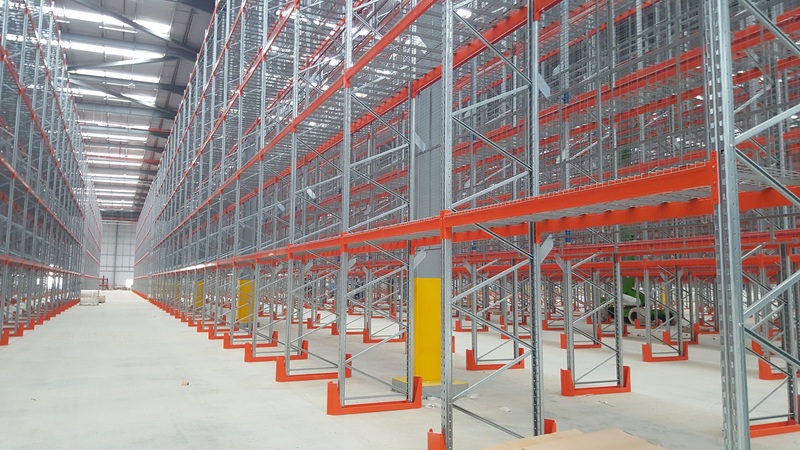 This was done by increasing the height of the 4 deep push back pallet racking frames already in situ. We installed beams and mesh decks and then enclosed the extended frames with mesh and a safety access gate. The total pallet capacity for the entire 550,000ft²site is 23,556 pallet locations. The project was handed over on time and within budget. A great success with hopefully further contracts to come.